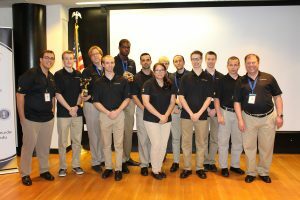 A team of cyber defenders from the University of Central Florida took second place in the Southeast Collegiate Cyber Defense Competition, while another team took fourth place at the Argonne National Labs Cyber Defense Competition held within the same week. In the Argonne competition, 15 schools competed for bragging rights outside of Chicago on April 1. The UCF team was tasked with designing computer networks for simulated water and power plants. The members had to defend critical infrastructure systems against cyberattacks and keep information secure while keeping all systems operational. Experts in cybersecurity from Argonne National Labs and the Illinois National Guard portrayed hackers, trying to gain information and disrupt the systems. 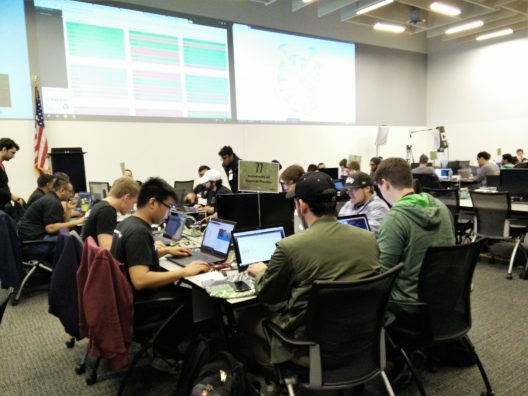 Only part of UCF’s Collegiate Cyber Defense Club traveled to the competition. Many of its members stayed in Orlando to prepare for the Southeast Collegiate Cyber Defense Competition, which was held April 5-6 in Kennesaw, Georgia. The team included Austin Sturm, Emil Dolorfino, Christian Campana-Emard, Mark Paxson, Tyler Lukasiewicz and Ditmar Wendt. The top three teams were: University of Illinois Chicago, Dakota State University and Kansas State University. UCF’s participants had the opportunity to speak to recruiters from the national labs at Argonne, Sandia, Pacific Northwest, Lawrence Berkeley, and Lawrence Livermore during the competition. As participants in the Illinois competition returned to UCF, other members departed for the Southeast Collegiate Cyber Defense Competition. In this competition, each team inherited identical versions of a poorly configured small business network. Each team rushed to patch and secure the network while maintaining full business functionality. During the competition, the teams received calls from customers and completed various business tasks like upgrading e-mail servers or website databases while under constant cyber attacks by a group of professional penetration hackers who attempted to breach security, steal data, and cause the teams’ networks to fail. The UCF team won two of only three specialty awards presented at the competition including “Best in Defense” for building and maintaining the strongest defense against cyber attacks and the “Best in Service” award for maintaining the highest systems and services availability over the two day competition. The team included Robert Vilarino, Kevin Colley, Jonathan Lundstrom, Peter Steffey, Matthew St. Hubin, Lazaro Fraga, Heather Lawrence, Ryan Meinke, David Maria, Martin Roberts, Michael Roberts and Zachary Crandall. Nedorost was the coach. UCF’s team finished in second place overall with the University of South Alabama taking first place and the University of Florida finishing in third place. Support the UCF Cyber Defense Competition Team. Click here to see a flyer about the team.